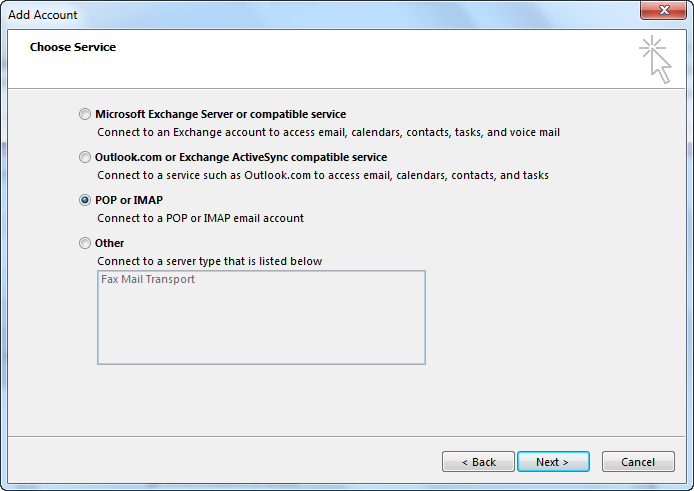 If you'd like to send and receive Bell Aliant email using the Outlook 2013 email program, we can help you set it up. You simply need to add our email settings into your email program. For guidance, follow the detailed step-by-step instructions. Port: You can keep your program set to the default ports. 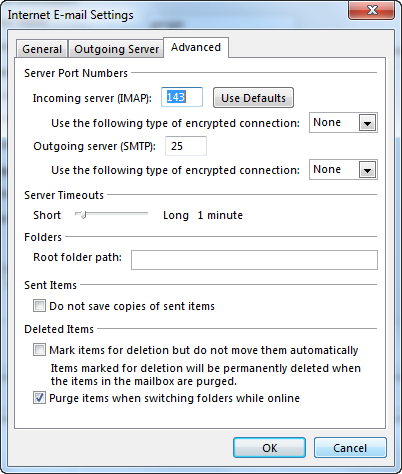 Click Manual Setup or additional server types. 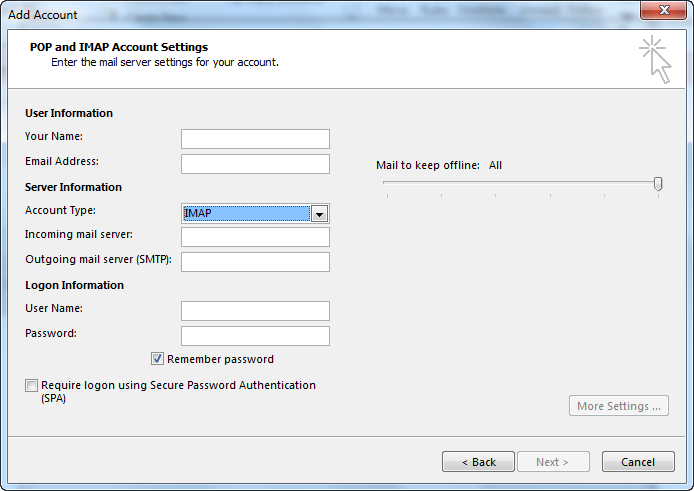 Click Pop or IMAP and click Next. Your name: The name you want to display on your outgoing emails. Email address: Your Bell Aliant email address (example johnsmith@bellaliant.net). Password: Enter your Bell Aliant email password. Click remember password to save your email password. 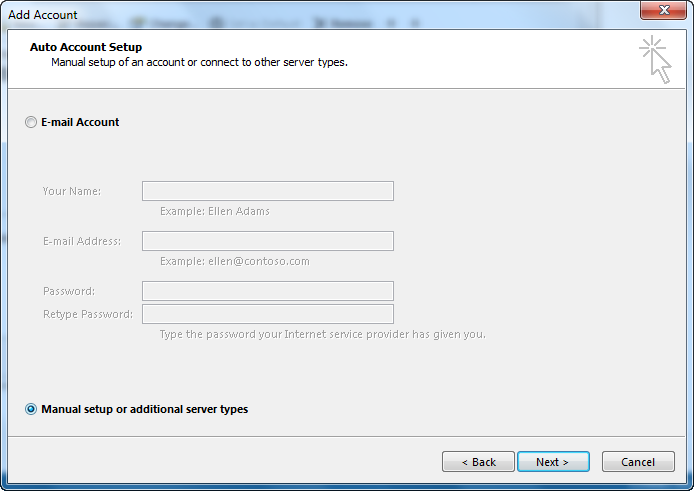 Outlook 2013 will test your account setup. On the Congratulations!All test completed successfully screen, click Close. On the You're all set screen, click Finish. 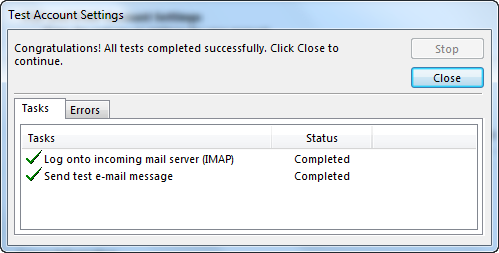 You have successfully configured Outlook 2013 for the first time!